Has anyone attended Lehigh Carbon Community College or Northampton Community College for their CDL training program? If you attended one of these, can you tell me which one and why it was preferred by you? I'm looking to start a trucking career also. I'm 60 and a little nervous too. I've been researching different companies, but it's so hard to choose. There is so much information. I want to get a job with a company that pays for your CDL. I have my class B now. I'm a school bus driver, but really don't like dealing with kids. I want a women friendly company, pet friendly, not have to work for that company for more than a year (what if I don't like it), and one that I don't have to be away from home for very long. Thanks for the replies, but Duie Pyle wants you to work as a dock worker because you can drive. I'm not into dock working. Lol. I'm a 60 year old female looking to get into the trucking industry. I am a school bus driver now so I have my CDL class B. I don't have a lot of money and live in PA and would like to go to a trucking company that pays for my CDL class A. I would like to do just local routes and be home weekends, so should I look for a company that has teaching locations in PA? Any recommendations of trucking schools in PA? I just found this forum and joined. I was wondering if I could get some advice. 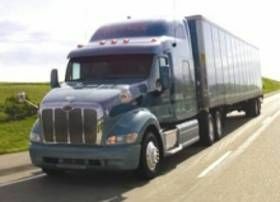 I'm a newbie and would like to get my CDL class A, but don't know where to start. I've contacted some colleges here in PA for more information on their training programs. Does anyone have any suggestions as to driving schools or company paid training here in PA? I really don't want to do long haul trucking. I'm looking to do local trips for a company like J.B. Hunt. I heard they are good.